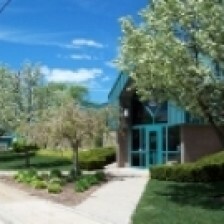 Community Center Rental for Special Events: Planning a baby shower or a graduation party? Roosevelt Park residents may hold their event at the Roosevelt Park Community Center or Pavilion located in Community Center Park for a rental fee. The Community Center is located at 3106 Roosevelt Road. For reservation information call (231) 755-3721 Ext. 1950. Arts and Crafts for Children: During summer months, Tuesdays, Wednesdays, and Thursdays (canceled during severe weather) between 10am and 3pm at the Community Center Park. Movies in the Park: 2019 Summer Movie Events will be on July 19th, August 2nd and August 16th. Come enjoy a free movie, popcorn and special guest appearances! Watch for more details. City Wide Garage Sale: Held the second Saturday in August. The exact date will be posted in the city newsletter. Advertising is done by the City and the City promotes a huge city-wide garage sale. Take advantage of this day to get rid of your unwanted or unused items. Garage sales are not permitted on Roosevelt Park Day which is two weeks later. Roosevelt Park Day: For the 2019 year events will include: Pancake Breakfast; Parade; Kids Games and Inflatable Activities; Arts and Craft Vendors; Food Vendors; Beer Garden; and live music. Roosevelt Park Day will be held on September 7, 2019. We are now accepting applications for Craft Show participants, Parade participants, and Food Vendors. The City’s nine parks include playground equipment, tennis courts, a hockey rink, baseball fields and an imagination station. Many parks have benches, tables and grills for family outings. Roosevelt Park Youth Athletics (R.P.Y.A.) uses Delmar PlayField for softball and baseball programs for all ages.